@Wraith one of my fav issues of spawn. it was such a big controversy issue when it first came out. @Jesse_O I came "this" close to using that one. yeah... some big issues in the initial run. @CatCovers It was the first one that popped into my head when I saw the contest title. I waited a bit to see what others were posting. When no one posted it, I knew I had to!!! There is another cover from that series that would work also. It was hard to decide which one to use, so I went with my personal favorite. I believe @Brocknation wins this week!!!!! 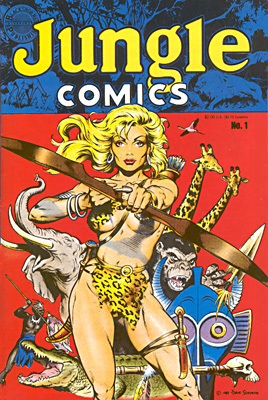 Lots of great covers but I am still surprised that Savage Land Rouge didn't get more votes. Brocknation and vacaboca are tied at 13 votes each. I think I was at 11 votes as of the deadline - someone voted late! (possibly @drchaos!) - @Brocknation definitely won. Im new so im not sure how to start a new thred for this. To start a new thread, first come up with a topic idea for next week's contest. Then, copy the content from the original post in this thread and update the winner list with your name for this week. Then tell us what the cover topic is for the next one! I voted late. For some reason I was thinking we had another day. @Brocknation If you can't figure out how to start the new contest, feel free to pm me your new contest topic and I can set it up for you.